Lily's Ink Pad: O Christmas Tree! Last night I planned to post on my blog, but put the Christmas tree up and got our house in the holiday spirit. The stockings were hung, and St. Nick appeared, bringing movies and candy to "the Guys." 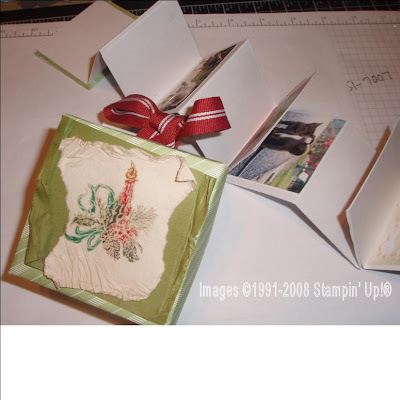 In that spirit, I want to share photos from a swap I participated in dealing with ORNAMENTS! In my family, the tree is a very important tradition. My mom is a crafter and has given me at least one homemade ornament a year. 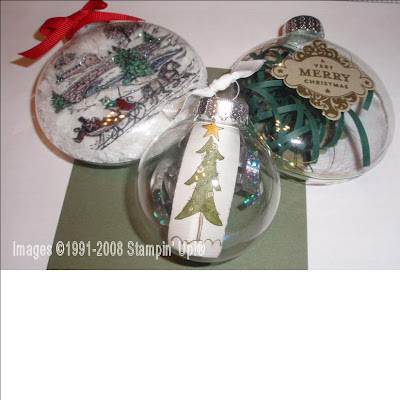 She has a holiday boutique each November called Homespun Holidays and each year, we pick out a "homespun" ornament. Plus, she usually adds one of her own. My aunt and cousins, grandmother, everyone makes ornaments. My tree (pre-Bubba) had only handmade or given from love ornaments. Now, it's a mix of us all-- Raiders, Star Wars, my handmade stuff, horses, cowboys, Bears, Elvis, cars! This next ornament is a box, with a scrapbook inside! Finally, my favorite for easiness, but cute. I can imagine a whole tree of these! 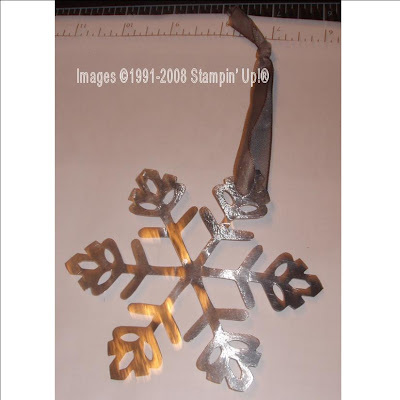 This was made using tin and the Bigz Snowflake #2 die. Happy weekend! I am off for a day of stamping! These are some nice ornaments. For the last three years I have said that I was going to make ornaments and guess what it hasn't happened yet. I must apologise to you for not commentng last week. I really enjoy visiting your blog and seeing all the wonderful projects you do!!! Those chrissy baubles are so beautiful!!! Cute stuff Sara, you've been busy. Are those flat glass ornaments? Were did you get them. They are too cute. Love the scrapbook ornament.